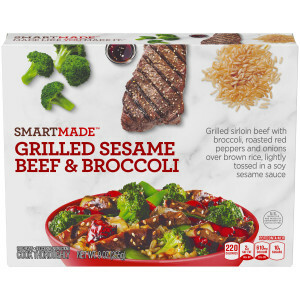 SmartMade Grilled Sesame Beef & Broccoli, 9 oz. SMARTMADE is a range of delicious products made like you make it because we use ingredients and cooking techniques that you would use at home. Try our grilled sirloin beef with broccoli, roasted red peppers and onions over brown rice lightly tossed in a soy sesame sauce. 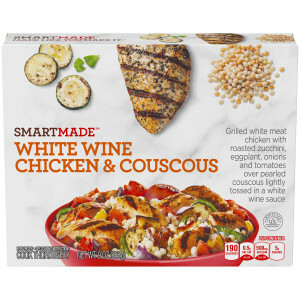 SmartMade White Wine Chicken with Cous Cous, 9 oz. SMARTMADE is a range of delicious products made like you make it because we use ingredients and cooking techniques that you would use at home. Try our grilled white meat chicken with roasted zucchini, eggplant, onions and tomatoes over pearled couscous lightly tossed in a white wine sauce.